Since 2000, over 7,500 academic publications on metamaterials have been published at over 500 universities. Duke University, led by its Center for Metamaterials and Integrated Plasmonics, heads the pack with 133 publications. Founded in 2009 at Duke University, the Center for Metamaterials and Integrated Plasmonics (CMIP) consists of a group of researchers dedicated to the exploration of artificially structured materials and their potential impact across a broad range of technologies. At CMIP, researchers study the fundamentals of metamaterials, including developing design techniques and strategies, as well as methods for the precise prediction and characterization of metamaterial properties. CMIP researchers consider the use of metamaterials not only across the electromagnetic spectrum—from microwaves to optics—but also across different branches of physics, including acoustics and fluid flow. 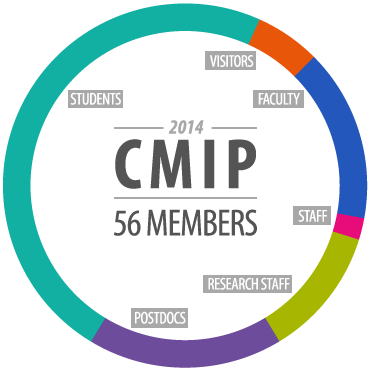 CMIP researchers are also at the forefront of innovation and entrepreneurship, with several companies now founded on CMIP inventions and discovery. In 2006, with collaborator Sir John Pendry, Smith proposes the concept of “transformation optics”—a new tool for electromagnetic and optical design. In 2006, The world’s first Transformation Optical “invisibility cloak” is demonstrated by CMIP members Smith and Cummer. In 2007, Cummer proposes the use of Transformation Optics for acoustic cloaking. In 2012, Cummer demonstrates acoustic cloaking. In 2012, Smith and collaborators demonstrate the use of metamaterials to form a microwave imager for security applications.